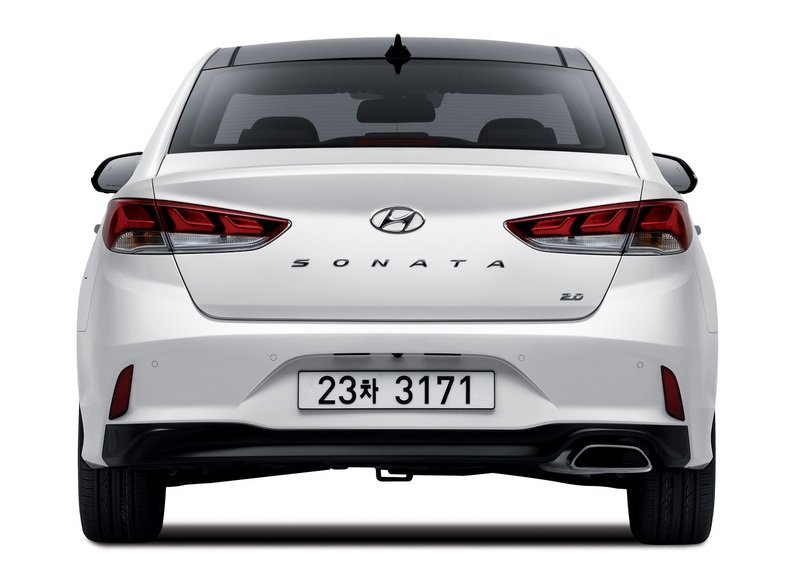 After a number of sketches, the updated Hyundai Sonata has officially launched in Seoul, South Korea. 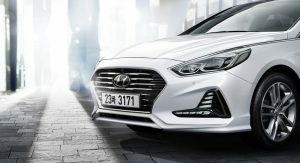 The facelifted Sonata will debut in U.S-spec at the New York Auto Show in April and is expected to look identical to the car pictured. 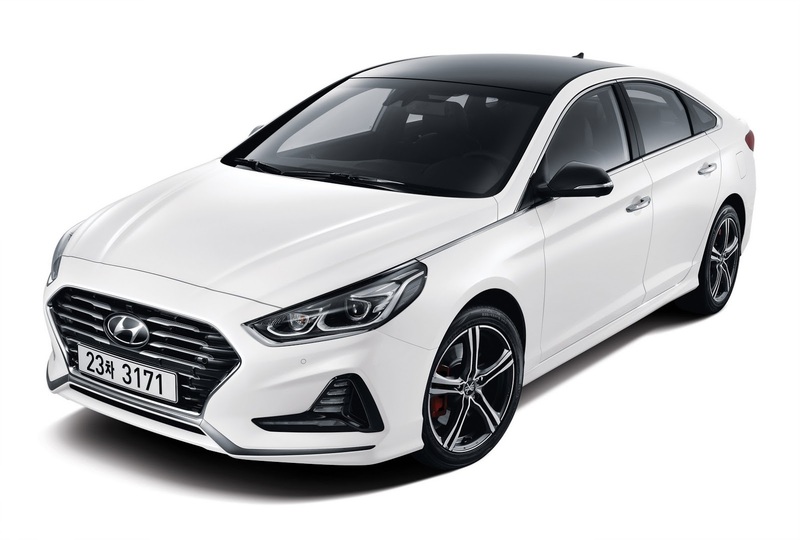 Overall, the new car adopts a much sharper and more aggressive outward appearance and also includes some interior refinements, updated safety features and a range of engines. 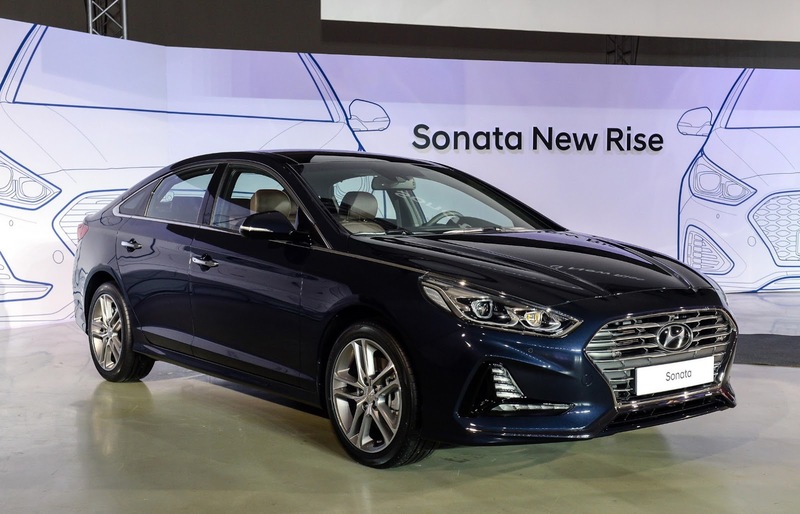 At the front, the new Sonata clearly incorporates the company’s latest design language with an edgy grille, vertical LED daytime running lights, a set of narrow headlights and a sculpted hood. 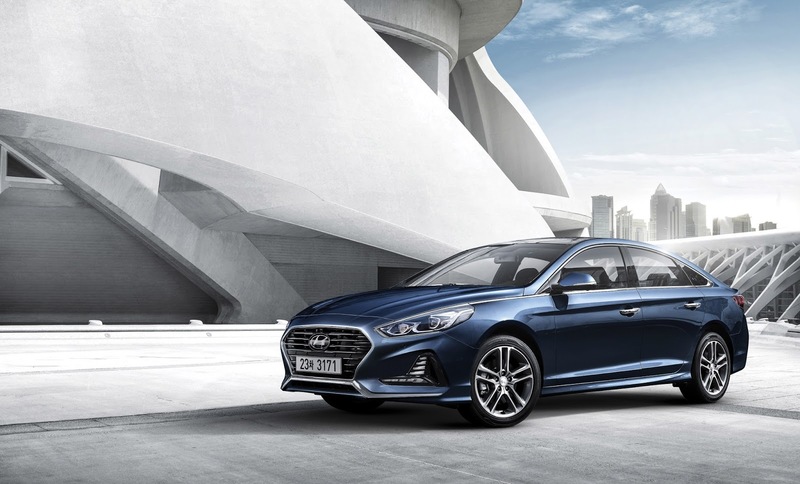 Elsewhere, the 2018 car receives more dynamic sides with subtle yet eye-catching body lines that frame the car nicely. 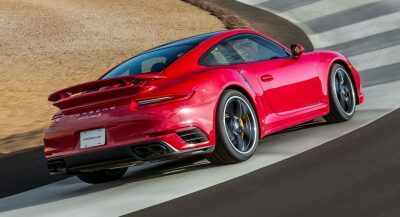 Other visual enhancements include redesigned 17-inch and 18-inch wheels, unique taillight graphics and a relocated rear license plate holder. 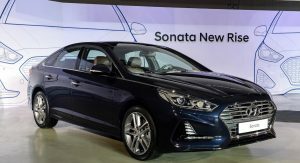 The cabin of the refreshed Sonata includes updated air conditioning, ventilation, audio and heating controls as well as a 7-inch color touchscreen as standard on every South Korean model. A larger, 8-inch will be offered as an option. 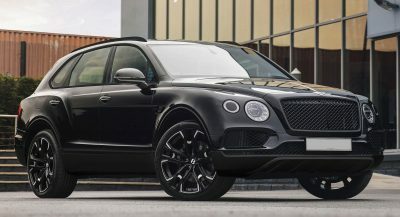 Elsewhere, the new model receives updated steering wheels which vary depending on the trim. 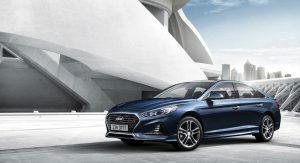 All incorporate three spokes and the wheel of the 2.0 Turbo has a flat bottom. 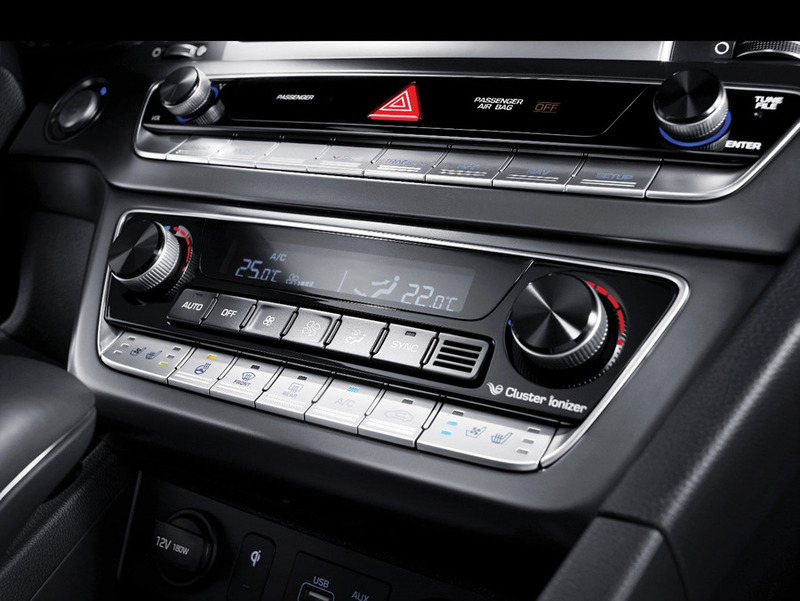 The sedan also includes a new USB charge port in the center console, wireless smartphone charging capability, Apple CarPlay and Android Auto. 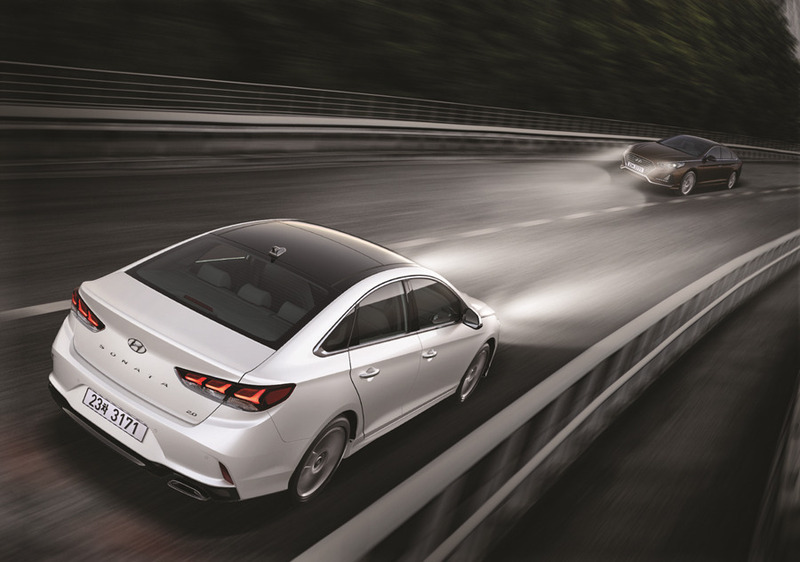 Also on a technology front is the option of a Lane Departure Warning system, Blind Spot Detection, Rear Cross-Traffic Alert, High Beam Assist, Dynamic Bending Lights and a Lane Keep Assist function. 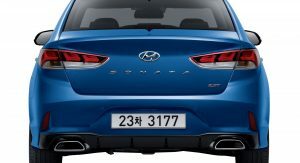 In terms of engines, South Korean customers are offered a 1.7-liter VGT delivering 141 PS (139 hp), a 1.6-liter T-GDI with 180 PS (177 hp), a 2.0-liter with 163 PS (160 hp) and a range-topping 2.0-liter turbo with 245 PS (241 hp). 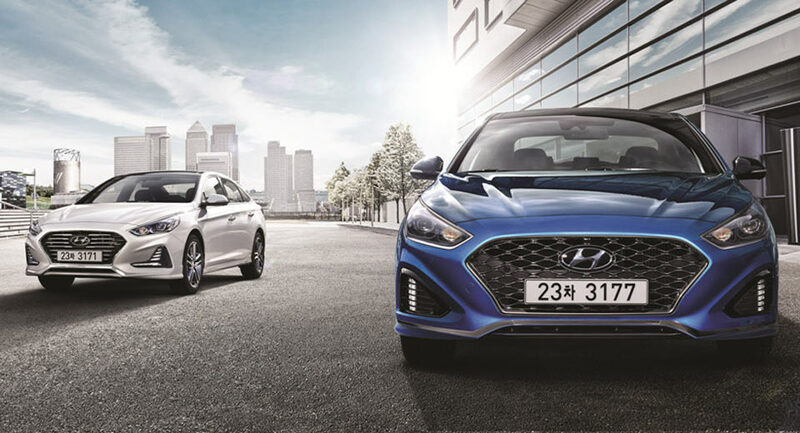 Expect U.S. prices to be revealed after the model’s local debut in April. It’s lost quite a bit in translation! The last generation was so unique, stylish, and sporty. I am just not getting the new Hyundai look. 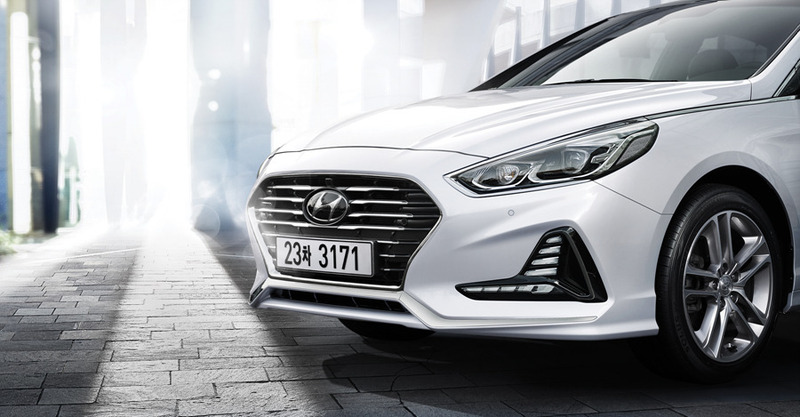 It’s also not a good deal for Genesis since this grille truly makes Genesis models look like rebadged Hyundais. The interiors are also so BLAH. 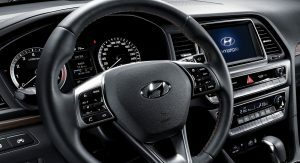 The last generation Sonata, Elantra, and Accent had such unique, sporty interiors. These are ALL the same, and they are kind of boring. UGLIER than before. The new Camry will kill this thing for good. They should have redesigned the 1980s dashboard. Agreed, though the details in the center stack switch-gear are nice. 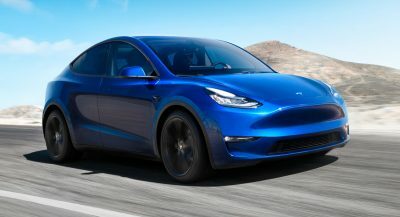 I wounder if they´re going to send the car to Europe? 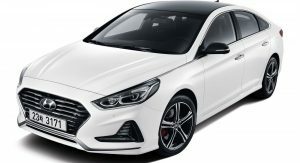 Europeans dont like middelclass sedans, its a reason why not the Honda Accord, Toyota Camry, Nissan sentra/primera/bluebird sice car are on sale in europe, we got the i40 from hyundai its a same sice car but in moust of the markets only sells as a stationwagon. 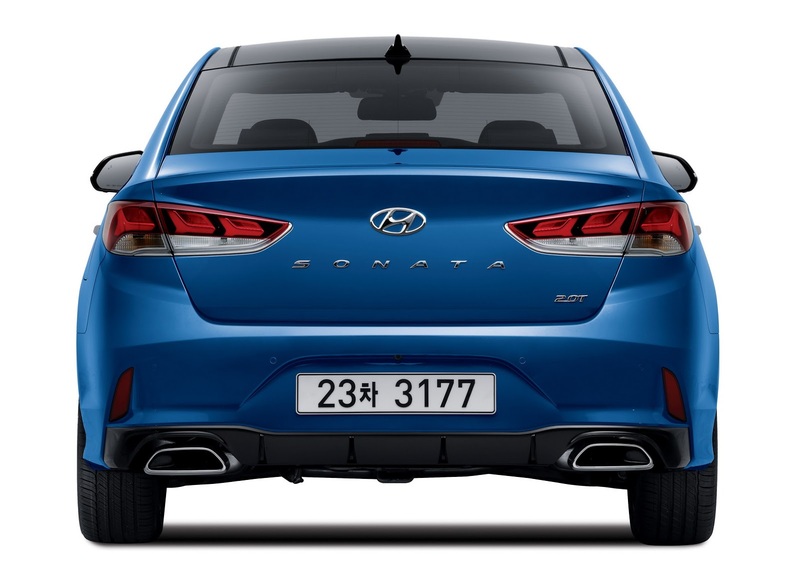 But we got the Kia Optima – same car as this. Please march right back into the design room and roll out the refresh by next month! This thing is as dull as midsize gets. 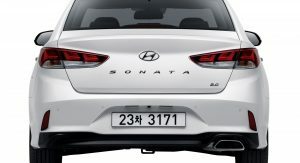 They better prepare to get crushed by Toyota and Honda if this is the best they can come up with. Damn, just when it seemed the Koreans were on a roll. I guess everyone gets a dud now and again. I think it looks great. It looks mature and the design will age well. 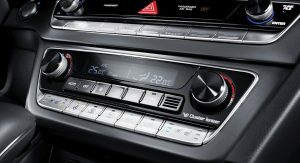 It’s funny how you guys keep mentioning the Accord and Camry as if they are design leaders..Err the Accord is as bland as a Kenmore washing machine. 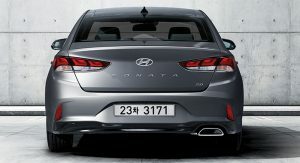 The Camry new design is definitely eye catching but I don’t feel like it will age well. 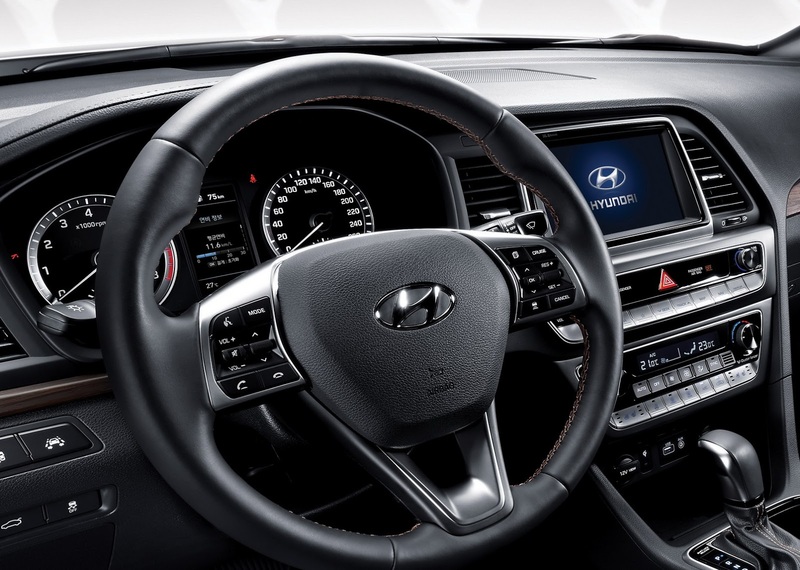 I wish Hyundai would have done more with the interior design but they certainly didn’t drop the ball and it doesn’t look cheap (I’m looking at you Passat). Now let’s see what the market has to say. Front end looks like the Elantra and the Interior is impeding on the Genesis brand. Looks a lot better in the drawing. At least they got rid of the radar black cover in the front. 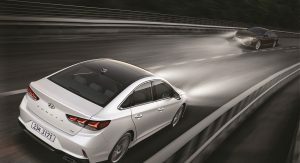 The new Camry will own it anyways. That front end is a copy of the Ford Focus. Seems like a step back to me. 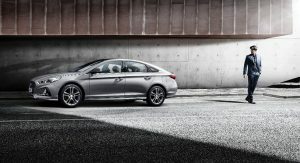 I love my 2011 Sonata and was hoping for a replacement that looks more like the upcoming VW CC replacement. I wanted muscular, back to bold style that made me buy the car in the first place. 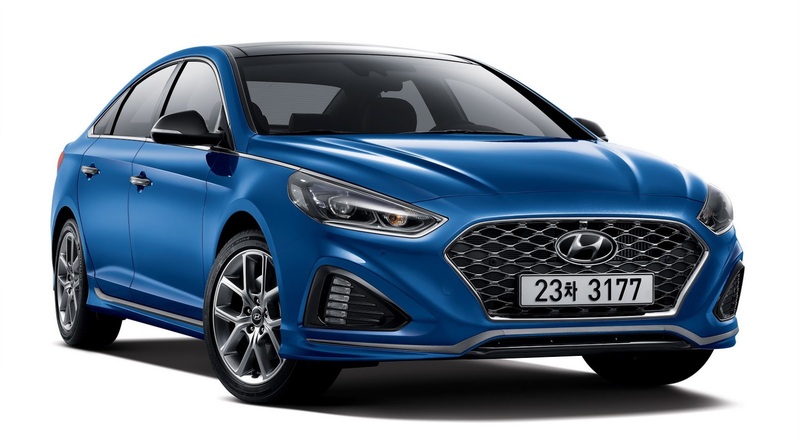 As others have mentioned, the grill is too similar to the Elantra and that’s not a look I want. Super excited by the Kia Stinger so that might be my future replacement. Looks a bit i40-ish, Grille design getting better thou. Needs to fix the headlight design. The rear bumper is too “busy”.